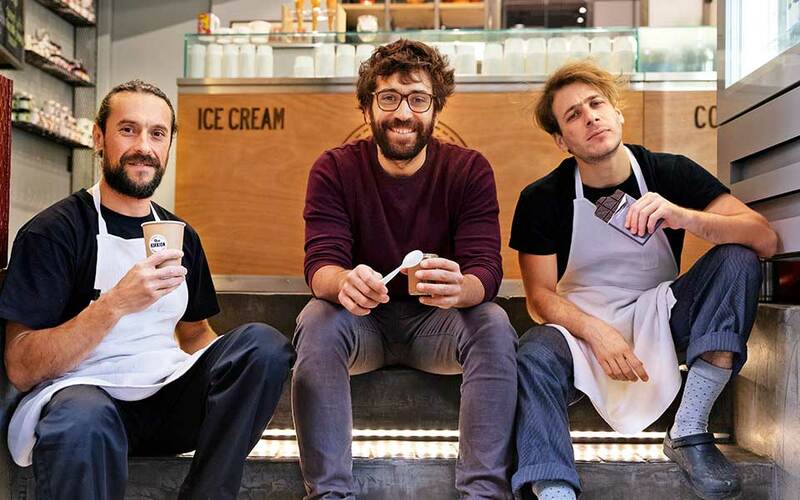 Athens may not be steeped in a rich tradition of chocolate, but you won’t be disappointed by the quality and the creative spirit that you’ll find in the city’s chocolateries. 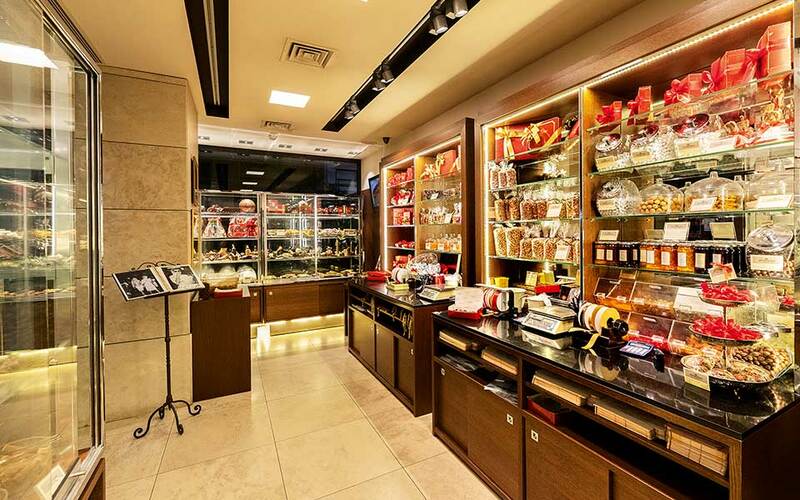 When you see the almost infinite variety of chocolates neatly arranged in perfect rows in the shop window at Aristokratikon, you might be overcome with a sense of FOMO (Fear of Missing Out) – once you realise you’ll never be able to taste them all. Most are shaped by hand and decorated with nimble, agile fingers. Among the winter bestsellers are the marrons déguisés, made with fresh chestnut purée and dipped in milk or dark chocolate. At the Dark Side of Chocolate, you’ll find handmade chocolates with more unusual fillings and using chocolate containing a minimum of 60% cocoa solids. Recommendations from pastry chef Aristotelis Panayiotarou, who served in Paris under the famous French chocolatier Patrick Roger, will help you understand how perfectly chocolate can go with frankincense and lavender, or with olive oil from the Peloponnese and citrus fruit. 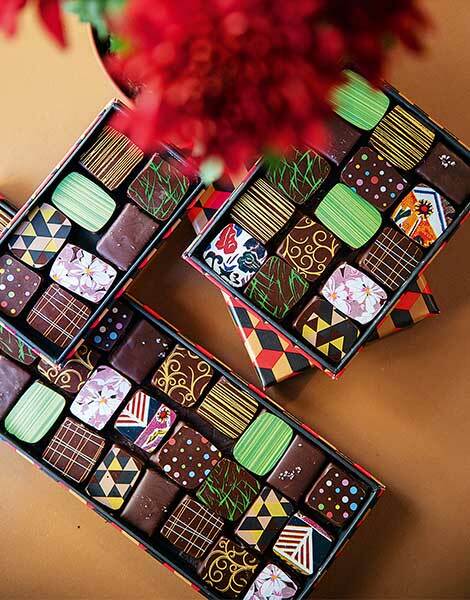 Here, not only can you buy a presentation box (there are three sizes available) filled with chocolates – my favorites are chocolates flavored with cardamom and honey from the flowers of the arbutus tree and ones flavored with fresh basil – you can enjoy a coffee or a cup of hot chocolate, too. Among the old-world-style cafés, Petit Fleur in Kolonaki is known for its fine hot chocolate. This charming spot features a few tables, a warm and welcoming atmosphere, and a romantic ambience, with low lighting and jazz coming from a record player; it serves a proper, rich hot chocolate, made with melted, bittersweet chocolate. I recommend ordering the large size, which comes in a cup that requires two hands to lift it to your lips. Try the fortified aromatic hot drinks flavored with vanilla, spices or chili; rum and orange zest; or bourbon whiskey and nutmeg. Whole chunks of chocolate are melted at café Sokolata near Syntagma Square. The result is a thick, luxurious hot drink, that can be sweetened according to your preference. If you’re near Monastiraki, order a hot chocolate to go at the ice cream parlor Kokkion. The owner is also a highly qualified pastry chef, with prior experience at Michelin-starred restaurants across Europe. He makes his version of hot chocolate using the finest primary ingredients, while his shop window proudly displays a selection of chocolate desserts freshly made each day. The concept store Anamesa serves pink hot chocolate decorated with pieces of candy and a lot of glitter. Here, you can also buy edible chocolate lipstick, decorated with gold leaf, which will leave a discreet shade of color on your lips – until you lick it off, that is. 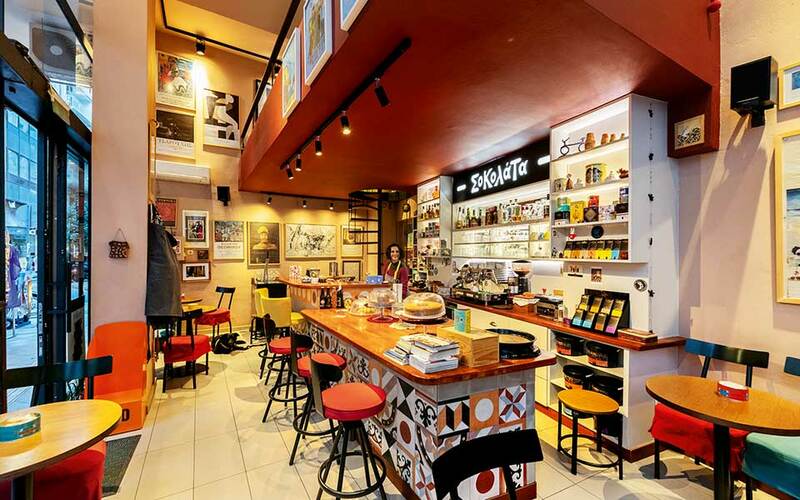 Carpo, near Kolonaki Square, is an ideal pit stop on a day out shopping – you can enjoy a pick-me-up handmade chocolate bar containing either the finest nut varieties roasted on the premises, or dried fruit from around the world. 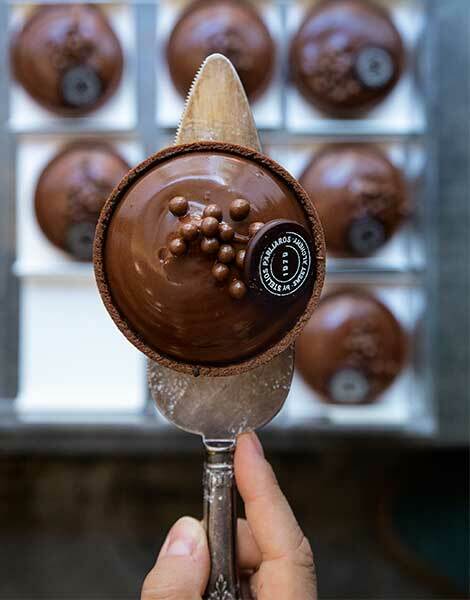 For retro-style desserts and gateaux slices, try the historic shop Asimakopoulos Bros. Their old-style chocolate vermicelli puffs (“troufes”) are made with the airiest of sponge cake and filled with chocolate mousse. At Sweet Alchemy, a boutique by Greece’s most famous pastry chef, Stelios Parliaros, you can find a variety of eclectic chocolate desserts from an avant-garde pastry making tradition. Athenians come back time and again for the robust chocolate truffles containing strong rum, and for the sleek satin tarts with chocolate ganache and sea salt. The shop’s magnificent gâteaux de voyage in gift boxes travel as well as their name suggests, allowing you to pack them in your luggage, confident that they‘ll reach their final destination unharmed.